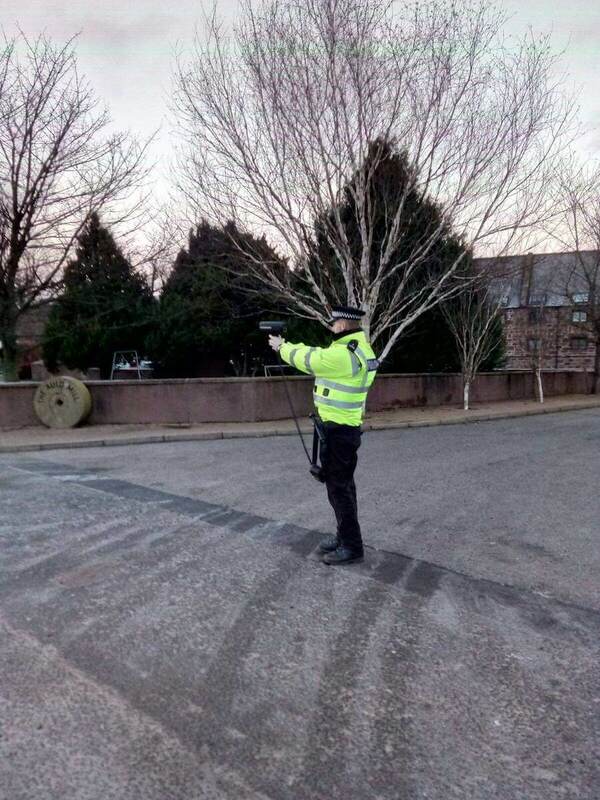 In response to residents’ concerns regarding speeding vehicles in the Turriff area of Aberdeenshire, officers from the Turriff Community Policing Team carried out a speed enforcement operation in the area this morning. During the operation 10 people were charged with speeding offences after being detected travelling at speeds between 37mph and 44mph in a 30mph zone. Of these 10 people, nine were issued with fixed penalty tickets and one person will be reported to the Procurator Fiscal. In response to concerns raised by the local community, under the banner of Operation CEDAR, we carried out speed checks at various locations in the Turriff area. Although the majority of drivers were found to be abiding by the speed limits, a number of drivers were stopped and charged regarding speeding offences which varied between 37mph and 44mph in a 30mph zone. These speeds are unacceptable and drastically impact upon a drivers ability to stop and to read the road in front of them for any hazards. I would like to remind those who stay within Turriff and the wider community who commute through or travel to Turriff to be mindful of their speeds, particularly around the local school and town centre. It is reassuring to see that the majority of drivers were found to be abiding by the speed limits within the Turriff area however, it is concerning that a number of driver continue to ignore the speed limits, putting themselves and others at risk. In response to concerns raised by the communities of Formartine, we will carry out regular speed checks at villages and towns within the area and will robustly deal with those committing road traffic offences and speeding.